As one of the premier names in the automotive industry, BMW’s relentless drive for excellence in product engineering is legendary. The company operates on in over 130 countries. 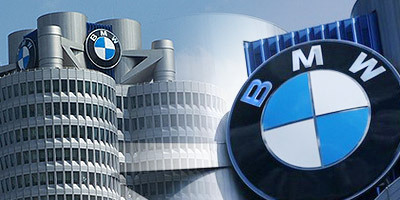 INFINITE Corporation empowers BMW’s worldwide dealer network to operate independent of platform. The history of BMW stretches back over almost ninety years. Ninety years of history from a fascinating company with a wealth of information about the innovations and pioneering work that have contributed to BMW's growth. A history which features outstanding personalities and legendary automotive creations. The past is still very much alive at BMW and its inspiration provides ideas for future developments. BMW is committed to documenting its history for the benefit of those interested. The impressive results of this undertaking can be seen in the activities of BMW mobile tradition together with the BMW Museum and historic archive. INFINITE Corporation’s INFINITE iSERIES solution plays an important role for BMW’s dealer network. By providing a platform independent environment for the company’s proven software solutions, their dealers now have the ability to run tried and true applications on their platform of choice. BMW had looked at replacing their core dealer applications, but had been unable to find a product that had as much functionality as their existing system. The issue for BMW was platform. They wanted the freedom to execute their IBM iSeries applications on Windows or Linux under Oracle as the database. This is where INFINITE Corporation’s INFINITE iSERIES comes in. INFINITE iSERIES provides tools for the migration of native iSeries applications to Windows, Unix or Linux. The product is also bundled with Infinite NET, a full-featured EAI product that includes a Graphical Interface, Web-to-Host capabilities and powerful application integration tools. INFINITE iSERIES is delivered with Infinite OLAP. This product provides powerful reporting from the now migrated applications as well as other disparate systems in heterogeneous environments and databases. The INFINITE Corporation implementation included building graphical screens, creating web-based access to the system and providing integration to other Microsoft applications for desktop users. With INFINITE Corporation technology, BMW can provide their dealers with the ability to choose their platform and database. As a result of using the INFINITE Corporation platform, BMW is realizing significant benefits (including high ROI) through improved costs per location and the ability to maintain the same project team regardless of platform. This has resulted in cost reductions efforts and enhanced employee productivity. More than 750 users actively use INFINITE iSERIES throughout the BMW global dealer network. Several reasons influenced BMW to select INFINITE Corporation as the company’s multi-platform environment. “Our relationship with INFINITE Software spans several decades, but our decision to utilize INFINITE iSERIES at this time was because we were impressed with the utilization of the latest technologies from Microsoft including c# and the tools from Visual Studio.NET. INFINITE iSERIES is bundled with a very powerful GUI, Web-to-Host capabilities and application integration capabilities. When combined with their BI/OLAP system, this meant we got three products in one for the price of one. One team supports it all.